If you didn’t get a chance to get yours through the campaign but you are still interested, leave me a comment about how many you want and we can try to work something out. 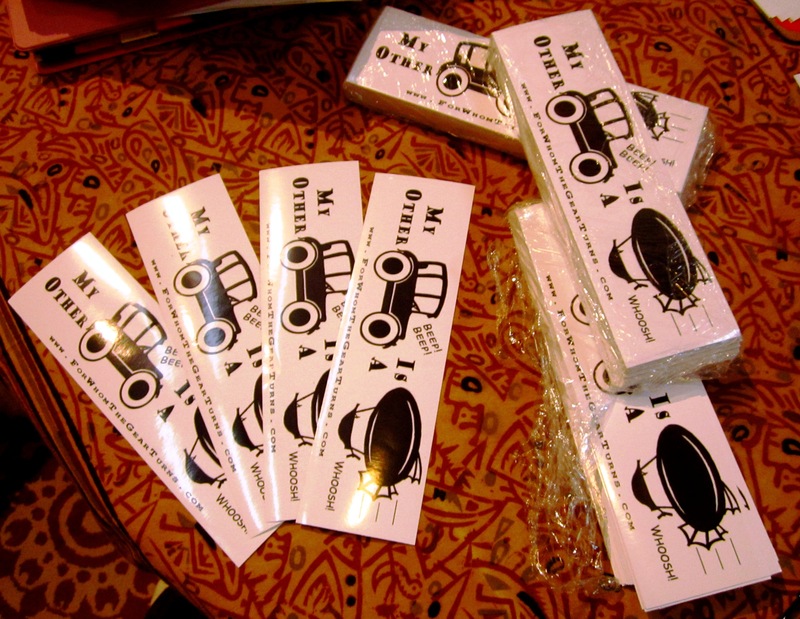 $2.50 per sticker (includes domestic shipping). I can only guarantee delivery if you let me know by next Monday, 5/26. For Londoners, I will always be carrying some of these awesome 3” x 10” stickers with me during my trek through the city and they will available for purchase during any meetups that are arranged and during Weekend at the Asylum as I am walking around and meeting folks. This entry was posted on May 19, 2014 by Phoebe Darqueling. It was filed under Steam Tour and was tagged with Bumper Sticker, Design, Kickstarter campaign, steam punk, Steam Tour, Steampunk.